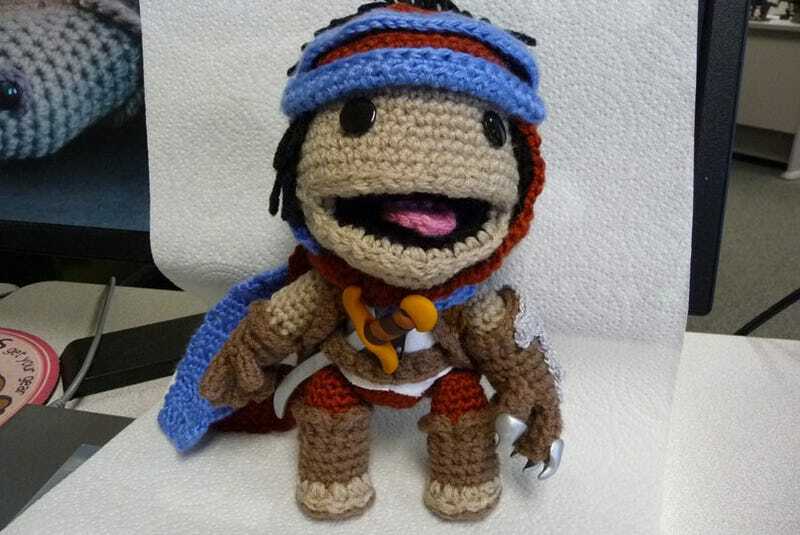 Had your fill of custom, hand-knitted sackboys? We're coming close, but we're not there just yet. So there's still a little admiration left in the tank for this cute little Prince of Persia. You'll remember Maggie Wang from that last batch, and she's also the lady responsible for this Prince here, who's notable not just because he's a lot less annoying than his in-game counterpart, but for the little touches, like his dainty little claw-hands.